People in Bermuda get one of the highest pay scales in the world. Yes that's true. Bermuda economy still enjoys one of the highest per capita earning in the world. In 2014, the average annual salary of a serviceman in Bermuda was about $60,500. And many earn lot more than that. So happy to know this? Thinking of a job in Bermuda? Now hear this out. Bermudians have world's one of the highest cost of living. Yes, they have to spend a lot to survive. That's because most capital equipment and almost 80% of food are imported. Bermuda has no natural resources like oil, gas, gold or anything. Due to lack of adequate farming land, agriculture in Bermuda is also very limited. And there is heavy import duty levied on all goods that are imported. So prices are often quite scary. In spite of that, Bermudians earn enough to have a healthier life style compared to people in many other countries. Although there is no sales or income tax in Bermuda, the cost of goods including food is pretty high. It forces Bermudians to earn a minimum pay which is far higher than anywhere in the world. Although there is hardly any poverty in Bermuda, the low income line is around $27,000 per year. If one is below this earning line, one is said to be poor in Bermuda and will struggle to survive without an aid. Check out Cost of Living to know what it takes to be Living in Bermuda. In 2007, only 11% of the Bermudians were below the low income line. This band mainly consist of single parents with no full time job, senior citizens or the disabled persons. By the way, Bermuda unlike other countries in the world, makes hardly any concessions for the disabled or the senior citizens, and life is quite hard for them. UPDATE June 2011: Senior Citizens to get a three per cent pension increase from August 2011. Many of the Bermudians hold more than one jobs in the island to maintain their living standards and to pay off their home loans. See Life in Bermuda to know what one of my friends in Bermuda had to say on her own life. She by the way runs a well known boating tours in Bermuda along with her husband. If you hear the average price of a house in Bermuda, you will think that they are only meant for the millionaires. While that's largely true, many average Bermudians still make it by slogging out their initial life with more than one jobs. An average house costs close to a million dollar in Bermuda. While there is no sales or income tax in Bermuda, there does exist a fairly heavy property or real estate tax. So if you look at an average Bermudian life style, a couple would typically take up two jobs each. They will save every penny they can to buy a land over a period of few years. Once they have the land, they will get good loans by mortgaging their land property and start building their own house while still living in a rented apartment. Finally when the house is built, they will rent that out so that the loan liabilities can be paid off from the rentals itself. In about 15 years or so, they will clear out all their loans and shift into their own proud home. Looks simple? No, it's a lot of hard work!! So what are the main industries in Bermuda? The two top industries that continue to control economy of Bermuda are the International Business and the Tourism Industry. While the international business in Bermuda has been on the rise with over 15,000 international companies having set up their operations in Bermuda, the tourism industry has been going through some rough patches over the last few years. Tourism had always remained the second most important industry in Bermuda. Between International business and Tourism, Bermuda receives over 70% of its total foreign currency earnings. The international business is mainly around insurance, re-insurance (i.e. insuring another insurance company), captive insurance, and fund and trust management. Bermuda runs the third largest re-insurance in the world and second largest captive insurance domicile. To know more about the this sector, checkout Bermuda's Insurance Industry. The sector International Business has spent an estimated $2 billion in Bermuda and provided large number of jobs to the Bermudians. Over the years, prudent financial management of Bermuda has made it a global magnet for the international business. An independent body called the Bermuda Monitory Authority (BMA) has gained control of all the supervisory and regulatory rights from the Bermuda Government. BMA oversees the international business with complete transparency, coordinates with US and international community, and ensures that there is no money laundering, fraud or other financial crimes. A recent report from KPMG has stated that the island's legislative framework is almost fully compliant with international standards. Bermuda has recently received a Sovereign rating of AA+ from Fitch which a global credit rating agency. Check out Bermuda Sovereign Ratings for credit ratings by different agencies. This is the second most significant force in Bermuda's economy. While majority of leisure visitors come by cruise (over 395,000), the tourists who come by air contribute more towards Bermuda's economy in terms of hotel stay, dining out etc. Bermuda had always followed the trend of US economy as well as the global economy. For example, in early 1990s due to economic downturn, about 2000 people lost their jobs in Bermuda because many work permits were not renewed. There was a similar impact in 2001-02 as well, although to a far lesser degree. The Labor Force Survey showed that in 2014, overall employment in Bermuda was 35,478 while in 2013 it was 35,989. Unemployment rate in 2014 was 9% compared to 7% in 2013. Average annual pay in 2014 was $60,559 (declined by 3% from 2013). Bermuda virtually has no natural resources. Almost all the manufactured goods and foodstuff are imported. In 2009, import was to the tune of $1 billion. Items that Bermuda imports includes food, clothing, household goods, machinery, transport, chemicals, live animals and miscellaneous items. Much of the import is from US (about $800 million). The other major supplying countries to Bermuda includes UK, Canada and some parts of the Caribbean Islands. Import in Bermuda has been rising over the years. Duties on import has been a major source of revenue for Bermuda. In financial year 2009-2010, the import duty constituted 24% of the revenue amounting to about $225 million. Such heavy import duty has its impact on the prices of the goods in the island. Although there is no additional sales tax, you will still find the prices fairly high in Bermuda compared to the other countries like US or even UK. Bermuda's exports has been quite limited and has been shrinking over the years. In 2009, only $25 million worth of exports has been done. One of the major items of Bermuda export is the fragrance from Easter Lilies that are used in making perfumes. Other items of export includes pharmaceuticals, semitropical produce and light manufactures. Agriculture, which was a major industry in 1920s, was given up slowly. Fertile land for cultivation in this already tiny little island was becoming rare to get. However, agriculture does exist in Bermuda in a small form and includes mainly bananas, vegetables, citrus, flowers, dairy products and honey. About 20% of the land area is arable. International business continues to be the highest contributor to Bermuda's GDP followed by Real Estate & Rentals, and Financial Services. International Business contributes around 26% of the total GDP of Bermuda. Visit Bermuda GDP Know about the Gross Domestic Product (GDP) of Bermuda, the sectors that contributed to the economy, the major economic trends and more. Overall annual (year-to-year) inflation rate (as in January 2017) is +1.9%. This means that one has to spend 1.0% more on purchase of overall goods and services. Inflation has been highest in the areas of Tobacco & Liquor (5.9%), Education & Entertainment (4%) and Fuel & Power (2.8%). 2010 census reported 64,237 as the total population of Bermuda (an increase of 0.34% compared to the year 2000). Over the years, many people from different countries have migrated to Bermuda to take advantage of best of both the worlds - great economy and fabulous place to stay. As per the 2010 census, 79% of the island's population are Bermuda born while the remaining 21% are non-Bermudians. Strangely, this distribution of Bermudians and non-Bermudians has remained the same in the island for the past decade, i.e. between year 2000 - 2010. 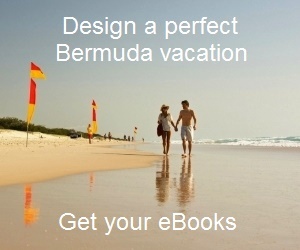 Visit People & Culture of Bermuda to know about Bermuda's people and their distribution by country etc. Strong tax reforms aimed towards higher revenue generation. Revenue is expected to increase by $57M to an estimated total revenue of $1,042M. Payroll Tax being reformed ... tax cap increased to $900,000. New top rate of 8.75% tax for those earning more than $235,000 a year and low rate of 4.75% for those below $48,000. Gasoline to cost higher by 5 cents a liter, also hiked are duties on tobacco and alcohol. Current account expenditure is expected around $923M. With all other spending including capital expenditure, interest on debt etc the total budget deficit is estimated at $135M. Increase in revenue forecast to $997M (revised $985M). This will be achieved mostly by increase in tax. Payroll tax to increase by 15.5% with employees part increasing to 6%. There will be general sales tax on service to public which will come into effect on 1st April 2017. Higher duties to be imposed on fuel, alcohol, tobacco, cigarettes etc. Estimated expenditure for 2016/17 is $1,196.3M most of which is attributed towards interest & sinking fund, health & environment, finance, national security, tourism development, and education. There has been 5 consecutive quarters of GDP growth. Positive movement has been observed in the areas of tourism, developing hotel, retail sales, construction sector, bank lending etc. The Airport Infrastructure renovation project for America's Cup 2017 is likely to open up many jobs for the locals. With interest in debt and other factors the total deficit is estimated at $267.3 million. A major contribution to revenue is expected from Customs Duty Yield (increase by about $25.7 million). Current spending is targeted to reduce by 6.9% (by about $70 million). Subsidy or concessions will continue for hospitality, restaurants and retail sectors. Overall Bermuda's economy is expected to remain fragile although there are signs of some recovery. Natural resource: Limestone, used mainly for building.